28 by 16 by 1 in. Description: This is a mixed media piece including paper, paint and stitch. It was created for the across Canada show by the Surface Design Association which goes on tour starting in 2015. Artist’s Comments: This subject originally was an oil painting i did as a study. 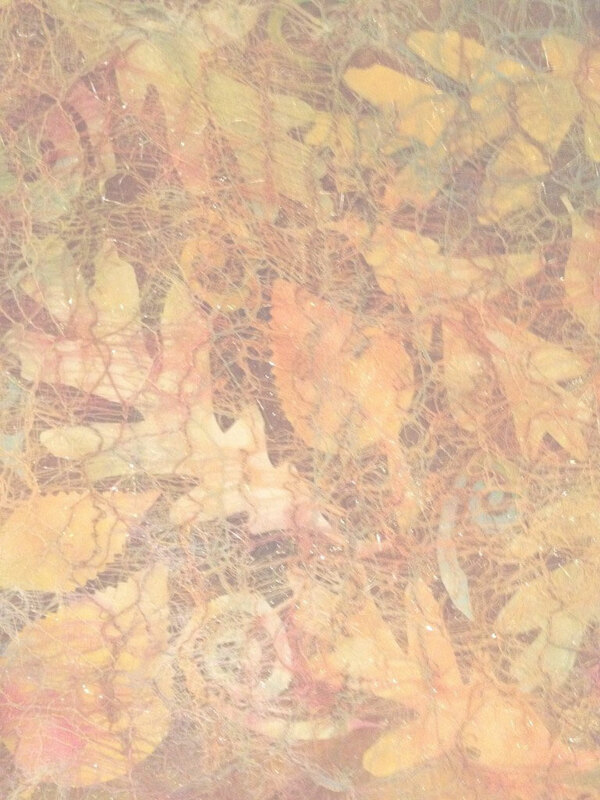 It sold in a recent show which encouraged me to produce it in textiles.